With the aim to present to the experts and, above all, the amateur the complexity of the development processes of a large company like ours, we asked Vincenzo Ciarelli – IMM Hydraulics Quality Manager – to tell us about his role and to linger over the meaning of some concepts that mostly identify the centrality of his profession. Here you can find a brief interview that we have prepared for you. Enjoy the reading. What does a Quality Manager do? Does he have a very flexible role? The Quality Manager is responsible for implementing the company’s quality processes and systems so that they are conforming to the reference standards. He oversees the overall company’s qualitative machinery, making sure that all processes respect the quality plan and guaranteeing the achievement of the targets within the established time frame. Obviously, this implies a professional adaptability that includes the attention to the customer, the planning, the constant participation in the manufacturing and business processes in general. What does it mean for you to be Quality Manager in a company like IMM Hydraulics? 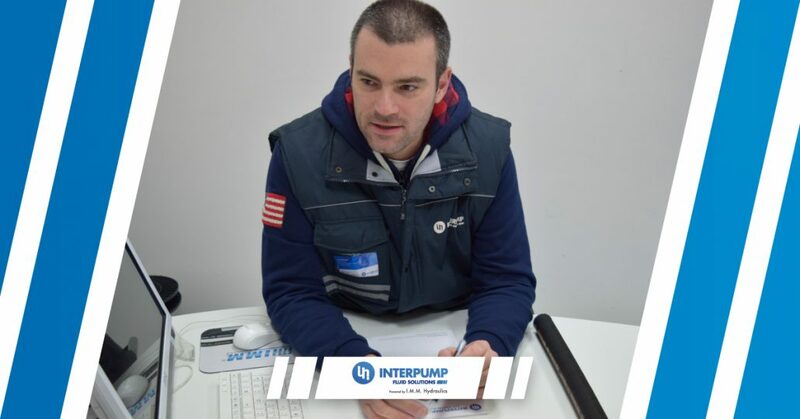 IMM Hydraulics is a company belonging to Interpump Group and has been working in the hydraulics for more than 30 years. Being a QM in a market leader is first of all a challenge and it also requires a constant professional updating and daily commitment to the creation of value for the company. Could we say that the QM is the guarantor of all the internal and external company processes? The QM is certainly the guarantor of the company processes globally intended and aimed at quality. He has a systemic vision of the organization for which he works, and through involvement and participation he can be considered as the driver of the continuous improvement for internal and external satisfaction. However, we need to point out that every company branch carries out its own task, taking into consider the quality of the processes and of the systems. The awareness of each area to achieve quality targets lays at the basis of the creation of the quality itself. Quality must be perceived as a mission by the organization. The task of the QM is to increase the collective commitment towards the service of the quality. The QM alone is not able to create quality for the whole organization as well as for the customers. Nowadays more than ever business and quality go at the same pace. Do you agree with this statement? I absolutely agree. To be a successful company nowadays you must be able to match all the costumers needs, to guarantee a constant improvement of the product offering, to invest in research, development and updating, to create new technologies and study focused procedures in order to get better results. This allows to create a virtuos a continuous process which must never stop, assuring the growth of the company itself. Do you have new targets for this year? This is the Quality Department’s main target for this year and this is the message that we want to pass within the company. We want to improve all the manufacturing-and-not processes in order to increase costumers’ satisfaction. We’ll therefore direct the know-how, the experience, our strong motivation for improvement towards the costumer, because we believe these drivers are synonyms of reliability and trust.